Out of 1,453 anti-Semitic incidents in Germany, the vast majority consisted of incitement or hate speech. The number of anti-Semitic incidents in Germany is on the rise, Germany's Tagesspiegel newspaper reported. 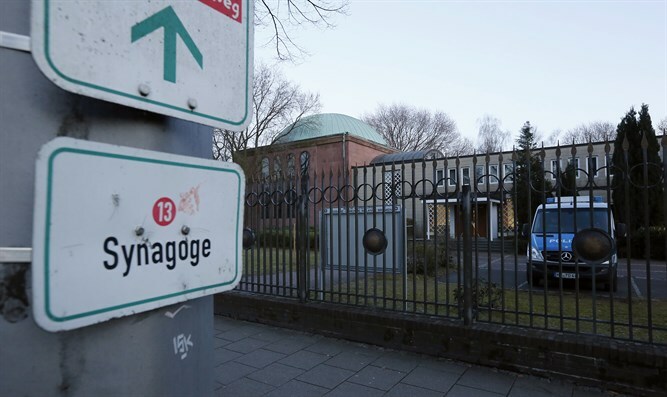 The Tagesspiegel quoted a recent report, which noted 1,453 anti-Semitic incidents perpetrated in 2017, including 32 incidents of physical violence, 160 incidents of vandalism, and 898 incidents of incitement to violence or hate speech directed at Jews. The findings have been presented to Bundestag Vice President Petra Pau. According to the Tagesspiegel, the number of anti-Semitic incidents is not final and expected to rise, since several states have not sent in their final statistics on anti-Semitism in 2017. Most of the anti-Semitic incidents were due to extreme right-wing motivations: 1,377 incidents - 95% - were perpetrated by people holding extreme right-wing views. An additional 33 incidents were perpetrated by non-Muslim foreign citizens who hold anti-Semitic views. Twenty-five anti-Semitic incidents were perpetrated "for religious reasons" by Muslims. Some of these Muslims are migrants, and others were born in Germany. In the last 17 cases, authorities did not succeed in identifying the motivation behind the anti-Semitic attack. "I am very concerned about the statistics from the past year," Pau said. "It could be that the number of unreported incidents is much higher, since many of the victims refuse to report the attacks."